Lariats are so versatile as they can be worn for so many occasions from casual to smart. 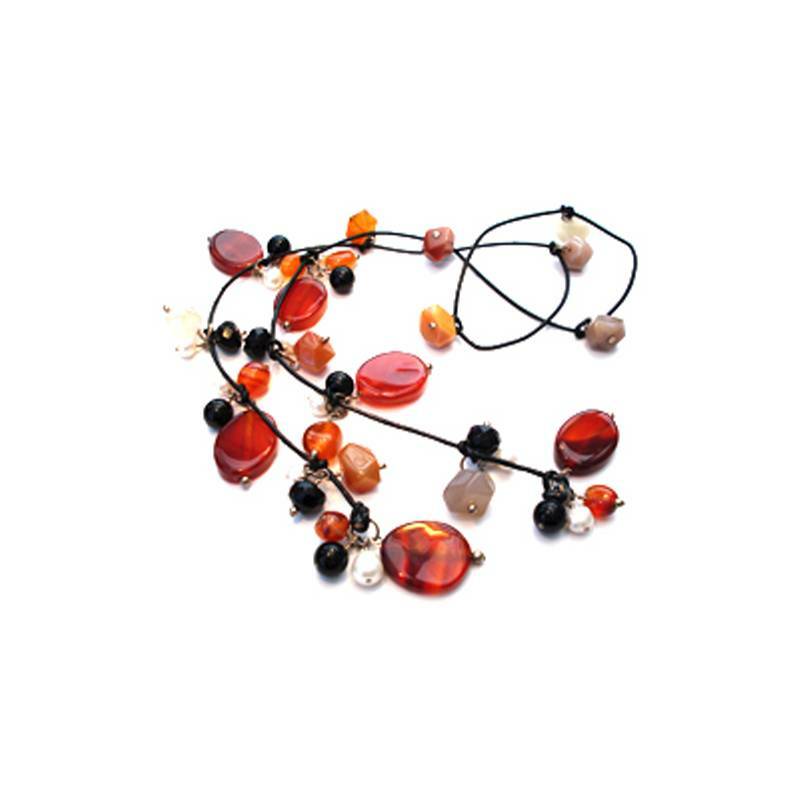 It is such an easy necklace style to wear as there are no fiddly catches to worry about. Lariat necklaces tie with a simple half knot in front are classic and elegant. Try this look with a formal black dress or dressy business suit. Place the necklace around your neck, with the ends draping across your chest. Place each strands of the necklace in each hand. then tie a half knot to hold in place. Or loop them round as you would a scarf, or wear as a choker. Have a play and see which you prefer. 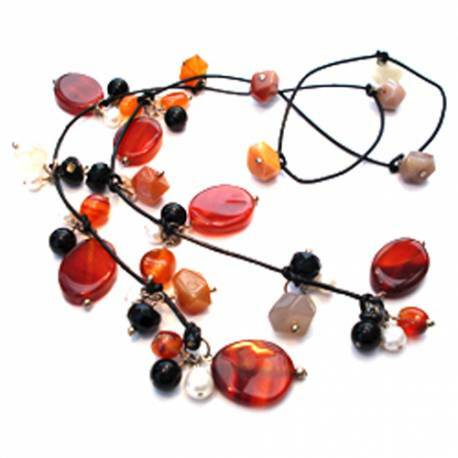 Freshwater pearls, carnelian, black onyx, natural leather and Sterling silver. Length approx 75cm, although when you wear it you don't have to have both ends the same length, by making one end hang lower than the other you will create a longer length lariat and a different look.